Amazon Web Services, also known as AWS, introduced a blockchain framework for Ethereum and Hyperledger Fabric. 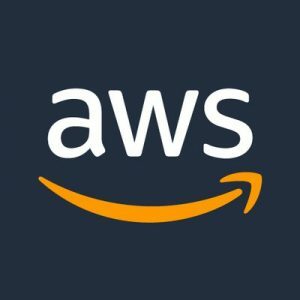 In this way, AWS will allow users to manage decentralized applications (dApps. The information was released by AWS in a blog post published on April the 19th. With the new Blockchain templates introduced by AWS, interested parties will be able to create secure blockchain networks using open source frameworks. Blockchain technology has enabled several new applications to spread and improve bureaucratic processes and control in enterprises and governments. AWS Blockchain Templates work by deploying the blockchain framework desired as container on an Amazon Elastic Container Service (ES) cluster, or just on an EC2 instance running Docker. Once that’s defined, the blockchain network will be created in the Amazon VPC, allowing the user to use the VPC subnets and network Access Control Lists. In order to start using the new AWS Blockchain Templates, it can be done visiting the ‘getting started page.’ There is no additional cost for using the blockchain templates, but instead, it is necessary to pay for the AWS resources needed so as to run the blockchain network. Moreover, the user can assign granular permissions with the AWS IAM to restrict which resources n Amazon ECS cluster or Amazon EC2 instance can access. Amazon Web Services started to offer IT infrastructure services in 2006, in the form of web services – also known as clouding computing. One of the main benefits of cloud computing is that there is an opportunity to replace capital infrastructure expenses with a lower but variable costs that are scaling with the business carried out. Logistic costs are reduced and efficiency increased when the service can instantly spin up hundreds or thousands of servers in minutes delivering results much faster.